2. 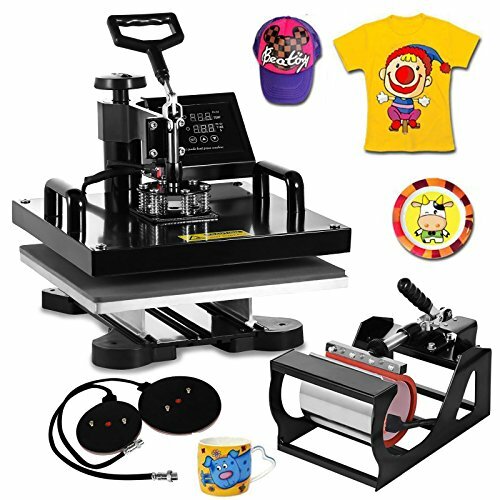 Adjustable Height: 13 1/2" To 17"
This heat press machine enjoys multifunctions in one machine, it can be used for transferring on t-shirt, mug, plate, cap and so on. It can swing-away 180 degrees and is convenient to take off the transferred materials and can be used for transferring on certain thick materials. If you have any questions about this product by DeEtt, contact us by completing and submitting the form below. If you are looking for a specif part number, please include it with your message.